Our page, Interview Skills describes what you need to achieve success when being interviewed for a job. Here we look at the skills you need to be an effective interviewer, an important skill-set when attempting to find the best possible candidate for a job. This page provides a framework for the recruiting process, from preparation, interviewing, reviewing and decision making. Interviewing, by itself, is not a very reliable way of selecting potential employees however skilled the interviewer, and it is particularly unreliable if there is just a single interviewer. Ideally you should include a test of some kind, whether problem-solving or giving a presentation, and include other people in the selection process to get a second opinion and avoid bias. Good preparation for an interview is absolutely key. Exactly what you need to do will vary depending on your role in the interview. There to give a second opinion of the candidate. Such interviewers usually, but not always, have some knowledge of the job requirements. An independent assessor or HR representative, there to manage the process and ensure that it is fair for all candidates. They are unlikely to have detailed knowledge of the job. Perhaps the most important aspect of successful interviewing is knowing what you’re looking for in a candidate. Make sure that you have a detailed job description and person specification that sets out what you really want from the person. Try to avoid jargon. If you haven’t written the particulars yourself, speak to the person who did and make sure you understand exactly what they meant. Read the applications for all the candidates that you will be interviewing. Ideally, you should score each candidate against the criteria in the person specification. Scores out of five are usual, where five is excellent and one is ‘does not show this at all’. If you’re holding a panel interview, the panel needs to meet beforehand and discuss interview tactics. Ideally, the interviewers (or panel) should carry out the short-listing for the interview, comparing the individual members’ scores for each candidate and agreeing on a panel score. The panel then need to agree what questions should be asked and who is going to ask which questions, or cover which areas. It’s also helpful to discuss which areas are most important in case some areas have to be left unexamined. Finally, the panel needs to agree what a ‘good’ answer to any particular question will look like, and how far they are prepared to probe to try to obtain one. A key skill for interviewers is to be able to build rapport swiftly and help candidates feel relaxed. When you meet the candidates make eye contact, offer a handshake and smile at them. Understand that they are probably feeling quite nervous. Everyone is nervous in an interview so candidates will be better able to show you what they can do if you can help them to relax. Your role, as the interviewer, is not to trip up the candidates. You’re there to find out if they can do the job or not. Invite the candidate to sit down, and indicate a chair. It stops them worrying about what they should do. Introduce the members of the interview panel and outline the process of the interview. Explain broadly what the interview is going to cover and who is going to ask questions. It is also useful to explain what other members of the panel will be doing: making notes, observing, or perhaps adding supplementary questions. Start off the process with a simple question such as ‘Tell us what you do in your current job’. If you have asked the candidates to prepare a presentation, start with that. You can then ask them for more details about aspects of their presentation that you found either interesting or concerning. Set aside at least 10 minutes for questioning after the presentation. Candidates can also be asked to do a written test. It is helpful to have the results of the tests in front of you during the interview so that you can ask them about anything that emerges. Interview questions generally take three forms: experience- or competence-based questions, hypothetical questions, and personal awareness questions. These questions have one big drawback: they don’t explore potential. What a candidate has previously done may not translate to your organisation or your job. If you are interviewing candidates who don’t have much work experience, it’s hard for them to demonstrate the skills from the past. It’s therefore also helpful to use a few hypothetical, or problem-solving questions. These questions are designed to explore how candidates will deal with the problems that are likely to face them in this post. You may provide them with a written statement of the problem, perhaps as half a page of bullet points, or just outline it to them, and ask them to consider what they would do to address the problem. Many interview processes use a candidate presentation to explore this area, for example asking candidates to present on what they see as the first five issues to be addressed in the job and how they would go about doing so. These questions are designed to explore the fit between the candidate’s needs and what the job or organisation can offer. For example, you might ask the candidate to tell you what motivates them, or what strengths they bring to the job. Good questions of this type ask the candidate to rank their requirements or strengths. 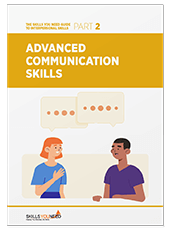 This enables you to assess how personally aware they are, and also whether you can provide the necessary motivation and/or use their strengths. There is no space in a serious interview for ‘quirky’ questions such as ‘If you were a car/animal/country, what would you be?’. Anyone worth their salt will have prepared a stock answer, and you will find out nothing. Don’t waste everybody's time. When you’ve asked all your questions, make sure that you offer the candidate the opportunity to ask any questions they may have. Their questions may be illuminating: for example, do they seem to be interested largely in the job, or in the perks that accompany it? As a general principle, the person asking the questions should focus on the candidate while they are answering. Watching their body language, and listening carefully to what they’re saying. Don’t try to make notes while the candidate is answering the question; you can do that once they’ve finished. In a panel interview, the other members of the panel should make notes as the question is being answered, but making sure that they too are listening and aware of the candidate’s body language. Each panel member or interviewer should score the candidate on each criterion as the interview progresses. You can always amend an earlier assessment, but after 45 minutes you won’t remember the earlier answers clearly enough to do all the scoring at the end. For the same reason, the panel should also discuss each candidate immediately after they have left the room and agree their scores against the criteria. Your final decision should be based on the scores you have given each candidate. If, when you get to the end of the process, one or more interviewers feels that the ‘wrong’ candidate has emerged as successful then it’s helpful to examine why this is so. Have you missed a key job skill? Or was there something that they said which should have resulted in a lower score? It’s fine to revisit the process and come up with a different answer, as long as you can justify it in the event of an appeal by the candidate. At this stage, the role of the independent assessor, if there is one, is to ensure that the process is fair to all candidates. ‘Gut instinct’ is a very poor selection tool. ‘Liking’ someone in an interview usually means either that they were very good at building rapport, or that they remind you of someone you like. Likewise, not really taking to someone usually just means that they were nervous, or said or did something that reminded you of someone you dislike or don’t get on with. This is NOT an indication of how well they could do the job, although it may tell you something about their fit with the team. However, unless you have clearly indicated in advertising that this is a factor, it’s not a good idea to take it into account. Besides, every oyster needs grit to make pearls and every team needs someone who will disagree with the consensus from time to time. At the end of the interview process, you will hopefully have selected a suitable candidate. That may turn out to have been a good decision, or not. Give yourself more chance of success by always taking up references, and not just in writing. Phone the referee as well and have a personal chat. People may say things in person that they wouldn’t put in writing and you may save yourself an expensive error.